The question of how to get beach waves has been sought after by women for years and years. We all remember the days of going to the ocean as a kid and hanging out in the sun and surf all day long. Then, after leaving the beach, we’d look in the mirror and realize that our hair looked like we just stepped off the runway. Well, there really IS something to that ocean salt water! And now it’s been bottled up in the form of sea salt spray. Disclosure: I received complimentary products from Arrojo for this post. All opinions are my own. So, how to get beach waves using sea salt spray? Well, I can tell you in 3 simple steps. The answer to how to get beach waves starts with using a good shampoo. I personally LOVE anything Arrojo makes. 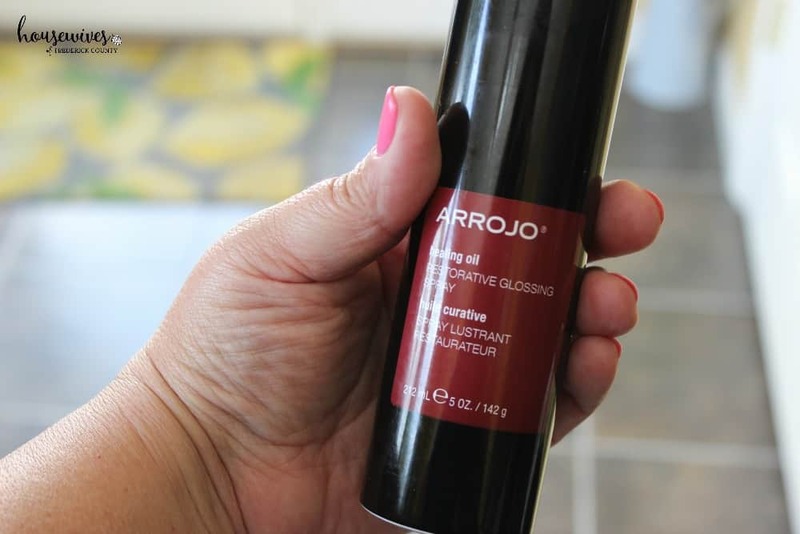 You’ve seen me talk about my daily “Arrojo arsenal” of products in my Arrojo Hair Products Equal Beautiful, Healthy Hair post. Being that my hair is colored and highlighted AND I pay good money to get it that way, I like to use a shampoo that maintains that beautiful color for as long as possible. Arrojo Color Save Shampoo contains vitamin B5 which preserves color-treated hair. Also, it’s a very gentle shampoo that leaves hair shiny and smooth. And it smells so good too! It’s scented with warm, floral linden-blossom. In addition to all of that, it’s a VERY reasonably priced salon product that you can purchase for only $19 on Amazon. The next answer to how to get beach waves is the biggest step of all: Arrojo Wave Mist. This stuff is like magic in a bottle! Just spray it liberally onto your towel dried hair and use a diffuser to dry your hair. Then manipulate your hair with your fingers to get your desired look. Also, you can use this mist on dry hair to enhance your existing style. And, just like magic, you have beach waves! You don’t have to spend an entire day at the beach (although who wouldn’t want to?) to get this look. 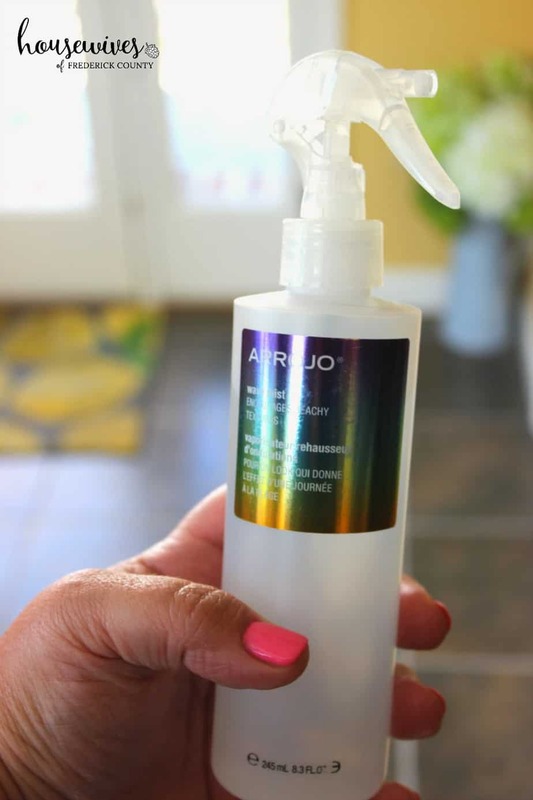 Currently you can’t purchase the Arrojo Wave Mist online. 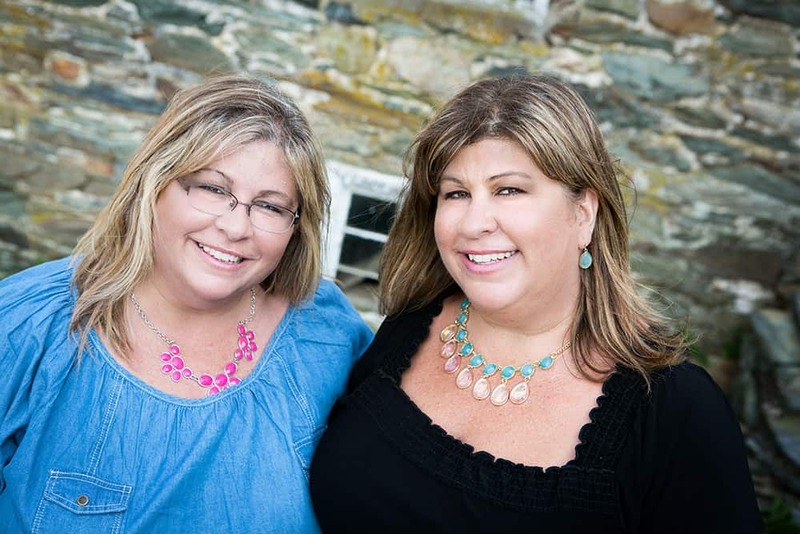 However, I purchase it from my local salon here in Frederick, Maryland. Arrojo has a salon locator where you can put in your zip code and find out what salons in your area sell their products. You can also purchase it for only $24 on Arrojo’s website. And the last answer to how to get beach waves is to use Arrojo Healing Oil. You can use this on wet OR dry hair. I love that it contains sunscreen too. 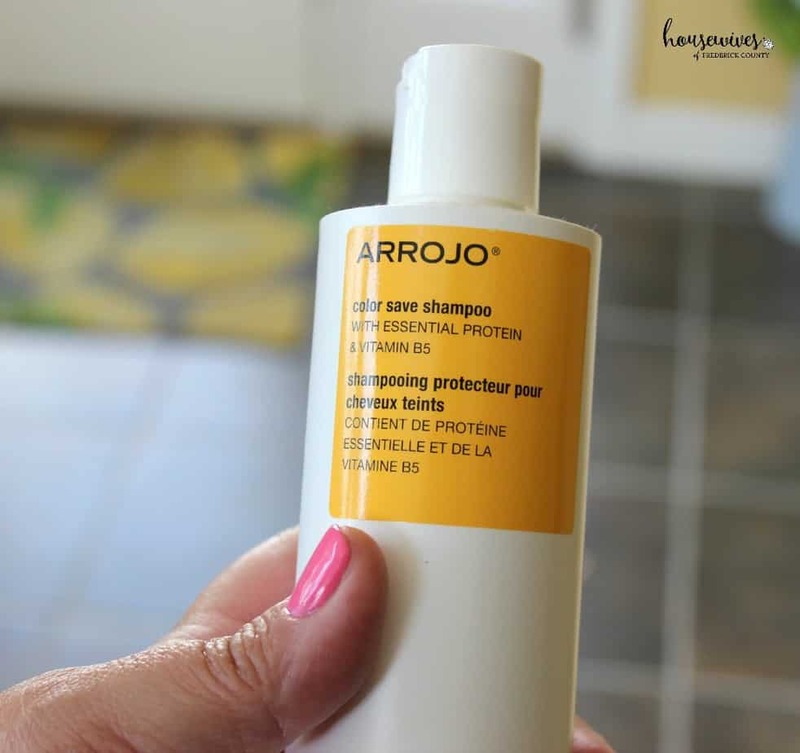 You can get this product on Amazon, or Arrojo’s website or a salon near you. It’s only $26 and lasts forever! So there’s your answer to how to get beach waves using sea salt spray! I’ve included a 1 minute video showing you the steps I do to get my beach wave look. Keep in mind that I already have wavy hair. Although if I were to just let it air dry I’d get the Bozo effect and not the beach wave look. 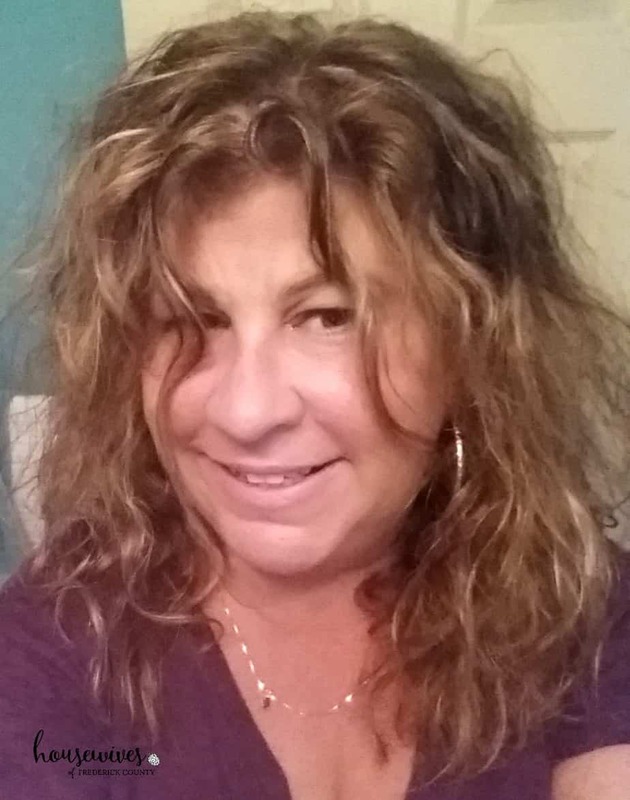 Thank goodness for great hair products! How do you achieve the best looking beach waves in your hair? I love the look here!!!! Now I want to see it in person!! I might buy them! Thank you Cheryl! I love any Arrojo hair product!